Slim, high tech tactical folder in black or tiger-striping. 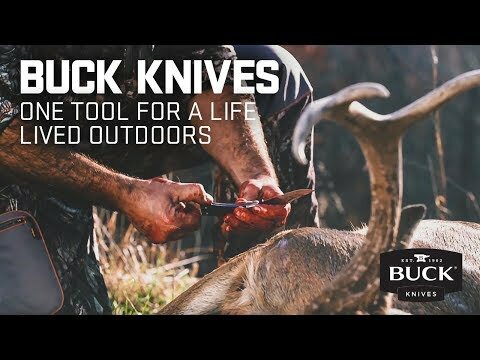 This is a frame-lock knife with quick and reliable deployment, innovative tactical coatings, and the quality of a Buck knife for an affordable price. The Bones is a modern and high-tech design, with special attention to ergonomics, including a curved handle with grip points. These grip points are built-in at three critical pressure points to ensure a secure grasp. To keep this knife at its lightest, the skeletal framework minimizes material weight, while maintaining strength. The blade is partially serrated for added performance. The knife features a one-hand ambidextrous open blade deployment with a thumb stud. It is available in two sizes and colors for convenience. The Bones is priced for market competitiveness and feature-rich in value.